Coopers Auto Repair Specialists is the leading auto repair shop in Tacoma. We have been in the auto repair business for years and we boast the best tools, equipment, and auto technicians. Drive in for your Lexus Hybrid repair today and you would be glad you did. If you want your car to keep serving you, you should not take the task of caring for it for granted. Your car would need routine maintenance and service as recommended by the manufacturer and in the event of any technical or mechanical fault, the services of a professional auto repairer would be needed. You cannot afford to entrust this important task into the hands of just any auto technician. Your Lexus Hybrid car deserves the best services from experienced auto technicians and that is exactly what we provide at Cooper Auto Repair Specialists. We specialize in all kinds of maintenance or repair services your vehicle may need. It doesn’t matter if you are in need of transmission repair, brake repair, engine servicing or any other auto care service, you can be sure we have got you covered at Coopers Auto Repair Specialists in Tacoma, WA. We are an AAA approved NAPA Auto Care Centre and we justify our licenses and approvals with top-notch auto repair and maintenance services for your Lexus Hybrid car. 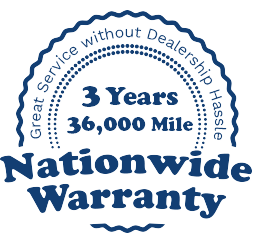 We boast state-of-the-art diagnostic equipment and auto repair tools that are put to good use by our certified and experienced technicians. Whether you are driving an RX 400h, ES 300h, GS 450h or any other Lexus Hybrid model, you can be sure our technicians have you covered. We have vast experience working on various Lexus Hybrid models and we can diagnose and repair your car in no time at all. We boast top-class auto technicians that have been adequately trained to repair Honda Hybrid cars. All our technicians are ASE certified and they have a rich wealth of experience in the repair of various models of Honda Hybrid cars. To contribute our own quota towards fighting the environmental pollution caused by cars using leaded fuel, we have ensured all our technicians have obtained the additional hybrid certification that qualifies them to work on hybrid cars. Our technicians know their onions and we provide the repair and maintenance services recommended by the manufacturer.